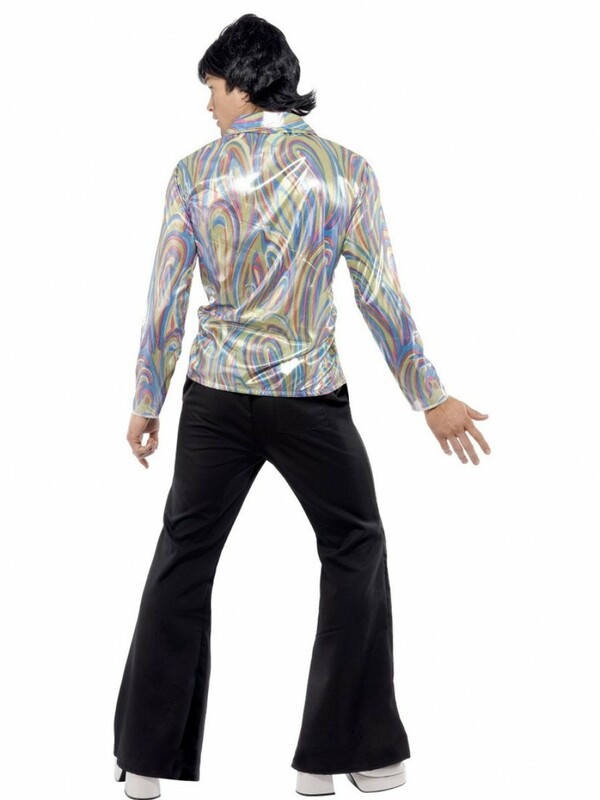 Head to the dancefloor with this striking Mens 70s Costume, this retro gem is perfect for any Dance/Decade themed party occasion. Included in the outfit are Shirt and Flares! A real head-turner; this Mens 70s Costume will do just the job. This retro outfit has all you need to go back in time and relive the 1970s. This costume includes Shirt and Flares. The psychedelic design shirt is made of satin-like material, the shirt is colourful whilst not being too overwhelming, the shirt buttons at the front and has ruched detailing either side of the buttons. Also included is a pair of long black flares to allow you to really strut your stuff on the dancefloor! 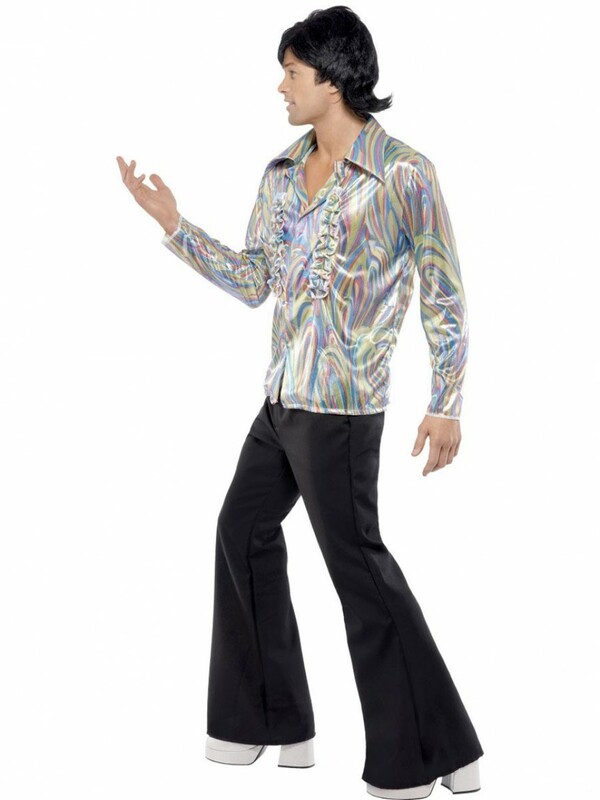 This Mens 70s Costume is sure to make you stand out at any 1970s/Dance themed party, can also be partnered up to make a mind-blowing couple’s costume. 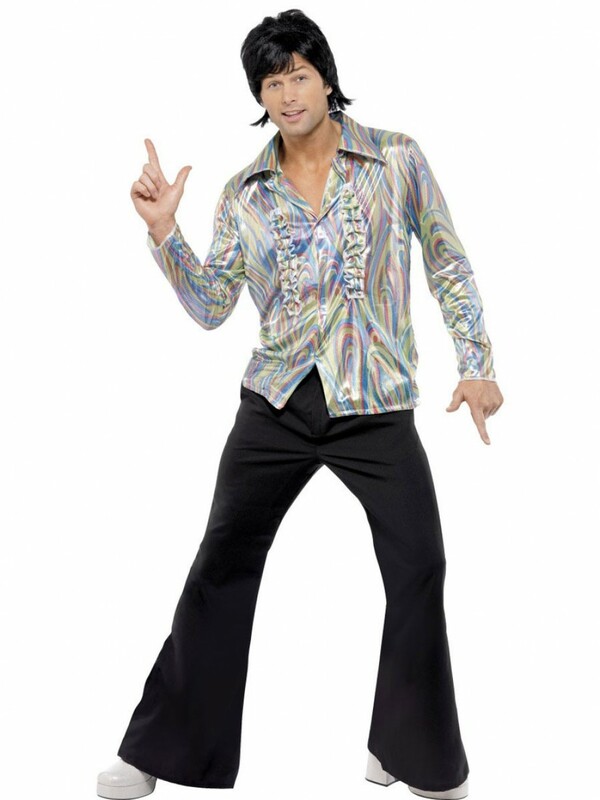 Mens 70s Costume including Shirt and Flares.